The remastered version of Resident Evil 0 gets its first trailer and screenshots. The title will be made available in early 2016 for PC, PS4, PS3, Xbox One and 360. Not a big fan of this game. Its also quite hard to swallow what Rebecca Chambers went through before going into the mansion. this is actually my favorite resident evil after REmake. i wished they carried on with these remakes on GC with RE2. less so RE3, but it would have been nice too. They actually might with Capcom's new strategy. 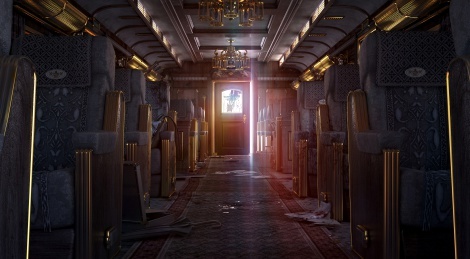 Graphics look awful, when will Resident Evil step into nxt-gen? I actually have nothing against a remasters like REmake and Zero. These games are old enough and were only on one platform - many people have missed them. It looks good, knowing that it's an like 13 years old game. Who wants better gfx can wait for RE7, but probably wil be RE6 tier bullcrap. How on earth did they clean it up so good, it looks fantastic. And mush recreated the top of the train bit, looks amazing. 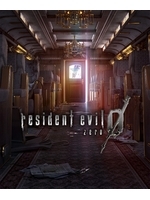 I gave Capcom some stick over their milking of the recent remake of the REmake of a remake, but you know what, playing that game again with the improved resolution was an absolute pleasure, because it still looked great in places, and more importantly, it reminded me just how good horror game design, and game design in general, used to be. I'm not talking about some of the more obvious annoying aspects that were forced bad design, like not being able to drop something once you picked it up, although that leant to the overall strategy ironically. Just the way sound is used, and the none existence of hand holding. It was like a breath of fresh air again...from a game 20 years old in design. It didn't need a complete graphical revamp, although I'd absolutely love it if Capcom went ahead and built a brand new RE2 using the pre-rendered method, because with today's technology, it would look jaw dropping good. RE-0 was Awesome! good stuff, I still would have like to see this in full 3D, oh well. Now that you mention it, the mansion is pretty calm compared to what she had went through, and yet in RE1 she's a complete nervous wreck. She should be a vet by the time she hits the mansion. I don't remember her to be a nervous wreck, but that could be down to the terrible acting. In fact, it was entirely down to the terrible acting.